This is hard to tell but not everyone will like it, that’s for sure. I appreciate art, creativity, and innovation in the games I play and that seems to be what is emphasized the most. 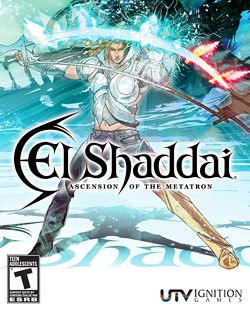 I love El Shaddai’s originality and I can bet money there is no game like it right now. There is no gore or apparent violence so if you’re looking for that, this isn’t where you’ll find it. It isn’t a children’s game either because of its complex storyline and that’s why I agree with the “Teen” rating it has.